Book a Skype Hypnotherapy Session now! Reach out for your goals! Conquer self-limiting beliefs to get rid of the obstacles to succeed in life. Get your hypnotherapy sessions via SKYPE with Chooi-Chin who has been providing the tools of mastery for you to move forward, uneashing your vast potential to achieve the heights of success you so deserve. Consult with Chooi-Chin from wherever you live in the comfort of your own home! This distance approach allows Chooi-Chin, with an almost 2 decade experience behind her, to skillfully and effectively assist people, guiding them to work on their problems in a securely familiar and comfortable environment to be counseled, coached and gradually develop their confidence to self-heal and become more engaged in a better life. She uses a combination of traditional hypnosis, hypno-analysis, chakra cleansing/balancing and the unique Daystar distance healing techniques to be effective in as few sessions as possible. Using Skype is easy! Simply download it free from Skype.com. You will need a computer , laptop (or Smartphone) with a web cam and a microphone, and from there you can connect with anyone across the globe LIVE for free, as if you are interacting with people in the same room as you. Select your computer operating system, and you’re on your way! We recommend a broadband connection. This will improve the quality of your video and voice calls. Headsets and microphones are the clear way to enjoy flawless calls. All you need to get started is Windows XP, Vista or 7, a webcam for video calls and a microphone. More relaxed and secure in our own home or place you are more familiar in. When you are feeling very relaxed right after your hypnotherapy session, you don’t want to ‘wake-up properly’ just to walk back out onto the street to get home! You just want to lie down for as long as you want to. Wouldn’t it be nice to have the session done from the comfort and convenience of your own home? Saves a lot of time – no need to get dressed to travel to and from the clinic. No travel expenses, no parking fees , nor the hassle of driving or travelling through the traffic. Appointments are easy to make at your own choosing, with flexible service and timing. Online sessions are definitely time and cost savings compared to ordinary physical appointments. 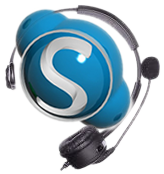 No matter where you are globally, we are just a skype away! Accessibility – if you have mobility difficulties or constraints leaving your home, a skype session is the answer! Once you have booked a SKYPE appointment (book here) we will email you a skype ID to make your call. Skype Sessions are to be paid in advance. Then we will email or call you to make an appointment. When you purchase your hypnotherapy session, either the skype or physical session, you will need to fill out our ‘Client Intake Form’ to submit in order to allow us to prepare and expedite your session with optimum efficiency saving valuable time. Prior to the session, feel free to email us any questions you have. You will need a skype headset so your hands will be free to rest whilst you listen to your hypnotherapy session. Alternatively, speakers works well too depending on your privacy situation. Cell phones are not encouraged, as the reception fluctuates an may cut off the session midway. Turn off all your phones. No pets allowed in the same room. Use your bed or recliner and lie down comfortably, where your body, especially your neck and back will be fully supported. It is important you are in a private quiet space. You must be left undisturbed throughout the duration of your session. You must NOT be interrupted under any circumstances, unless in the case of an emergency. Empty your bladder just before your session. If our session should become disconnected, reconnection will be attempted from either side immediately in order to resume the session. If it is not possible to reconnect, the rest of the session will be rescheduled with another appointment. If reasonable circumstances calls for a change in your appointment date or time, please notify us at least 24 hours in advance. Appointments cancelled within 24 hours will not be refunded. To make your appointment now, contact us OR pay for your session by 'pressing' the 'BUY NOW!' orange button above beside the product picture above, OR, scroll down to select your sessions with just a click away. Please click here for details of booking conditions. For most habit-changing Skype Hypnotherapy, such as Weight Loss and Stop Smoking, a minimum of three 90 minute sessions are recommended. £250 for a package of three sessions (a savings of £40) with advance payment which is non-refundable. As Chooi-Chin may be travelling, face to face sessions can also be prearranged at a convenient venue for which a premium is payable on top of the regular Skype Hypnotherapy fee. Please click here for details of bookings, conditions, fees and packages. Book a Skype Hypnotherapy session now! This consultancy specializes in the art of auto-suggestion, which is the methodology applying the unique principles of the 'Basic Laws of the Mind' through Hypnosis to retrain the mind to be the natural instrument of healing and enhancement of the human potential. HYPNOTHERAPY is the application of hypnotic techniques to bring about therapeutic changes with the external influence – The Therapist – to assist in activating the inner resources of a person - the Client - in order to achieve realistic goals. The Hypnotherapist uses his/her skills and knowledge in seeking to gain the mind's assistance to heal the body. Hypnosis is a powerful way to strengthen the mind-body connection, promoting health. Bad Habits such as: Smoking, Alcoholism, Obesity, Phobias and Allergies, Negative attitudes, Drug Abuse and ; Stress Related Problems such as: Insomnia, Depression, Anxiety, Anger Tantrums, Tension Headaches and Bereavement.